Just cleaning up my Desktop here, and coming across a few things I’ve been meaning to post. First off: a week’s worth of my old strip, WILD LIFE. Not sure how I stumbled across these files, but it amused me that, even back in 1992 or 1993, there was a bit of a gaming undertone to the strip. Not much of one, but it was there. I know these are kinda hard to read – lettering was never my strong suit. I was always too impatient for that. But if you CLICK HERE or on the image itself, you can see a larger version of the strips. Secondly, here’s a sneak peek at a super fun secret project I’m working on. 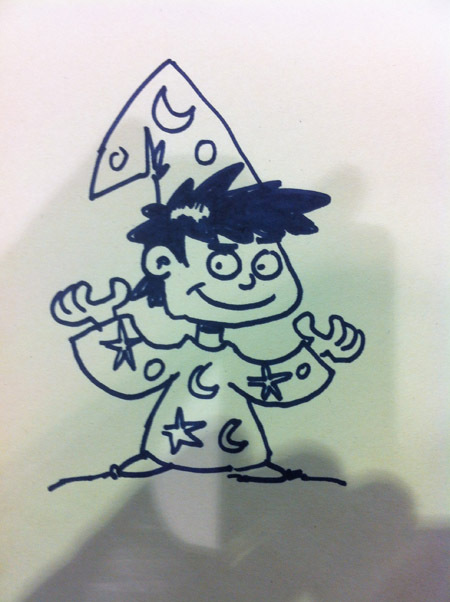 It’s not Munchkin – in fact, it’s not even a game at all – but I’ve got a feeling this is gonna rock! Also? 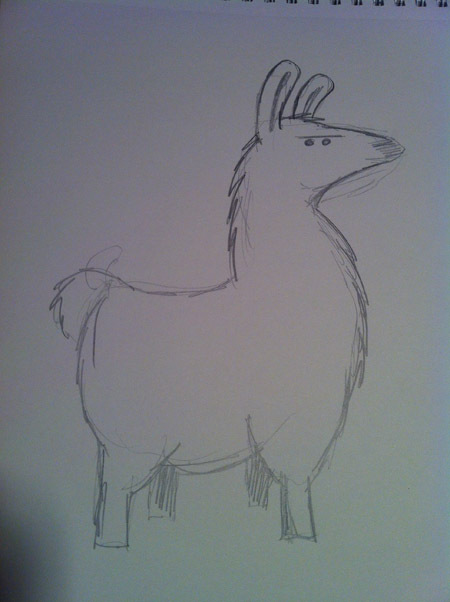 Here’s a sketch of a Llama I drew for Webmaster Andrew, who was in need of a logo. I’m rather fond of it. As if the sheer excitement of a llama sketch isn’t enough, there’s MORE Desktop cleaning images to come in a couple of days! “Woot,” as the kids say.